Former Mashonaland West Provincial Affairs minister Webster Shamu yesterday disowned a video clip circulating on social media platforms, where he was captured as suggesting to his supporters that they should ditch Zanu PF leader Emmerson Mnangagwa in the forthcoming general elections. The video was allegedly recorded during Shamu’s campaign rally in Chegutu East’s ward 12 on Saturday. Shamu claimed his speech had been grossly misconstrued, adding he was solidly behind Mnangagwa’s presidential candidature. Shamu said he was simply underscoring the decision of the people when he told Zanu PF supporters to vote for their choice instead of naming them. “Our presidential candidate is ED Mnangagwa and it’s the people’s choice and I was simply underscoring the fact that people should follow that choice. The primary elections also sealed the people’s choice,” he said. 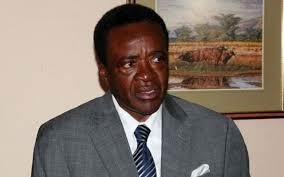 Shamu further dismissed allegations that he was fired for plotting against Mnangagwa and backing the G40 faction, saying the claims were being peddled by his enemies.